Deadpool has pretty much taken over my world this year. The film is one of the best comic book movies I have ever seen and I have talked an awful lot about Ryan Reynolds and my small (it’s not small – Ed) man crush, but I haven’t really delved into the art or the comics much, which surprises even me as that’s where my love of the character truly began. Marvel is pretty much only known for older characters which were created by Jack Kirby and Stan Lee, whilst all the films are relatively new, so those not immersed in comics think Wolverine et al are modern creations. Most Marvel characters are ancient in pop culture terms, roughly 50 years old or thereabouts. I mention this as I truly believe my love of Deadpool, and Tank Girl for that matter, stems from the fact I remember them first being released. I’m not having to read about a character from the generation, or two generations, before mine. Deadpool is mine. Creator Rob Liefeld started Deadpool as part of something else but over thirty years, and various artists, colourers, letterers and writers, the character has become iconic and now we have a book that brings those three decades together for all of us to Marvel (sorry, not sorry) at. 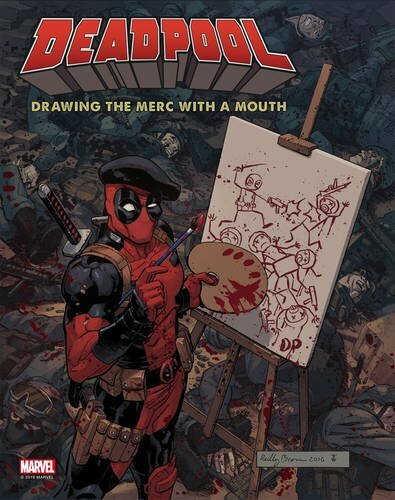 What you get with Deadpool: Drawing the Merc With the Mouth is history of the character from creation to modern day and, whilst as a fan I knew the journey, it still entertained me and for someone just discovering a love for the character it is a must own. What Matthew K. Manning has put together is a sublime collection of art, some great interviews with those who have taken on the mantle of Deadpool over the years, and has created a coffee table book that is just stunning to peruse. 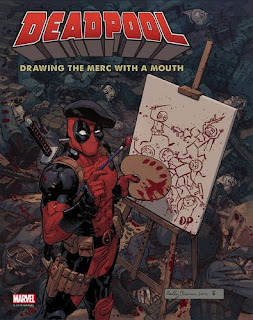 If I have one criticism though it is that a book that has the title ‘drawing’ I don’t feel enough artists were allowed to explain their process and there certainly isn’t enough or any input from Liefeld himself, but that’s a fan talking and it’s a small negative in an otherwise positive project. Christmas is coming and I’d certainly recommend the book for the comic book fan in your life.